I started to work on this card by die-cutting the main frame out of white cardstock and splattered it with black ink. Then I die-cut the second frame out of vellum. Since it was slightly too big for my card, I first die-cut half of it, shifted the die a little bit and then cut other half. 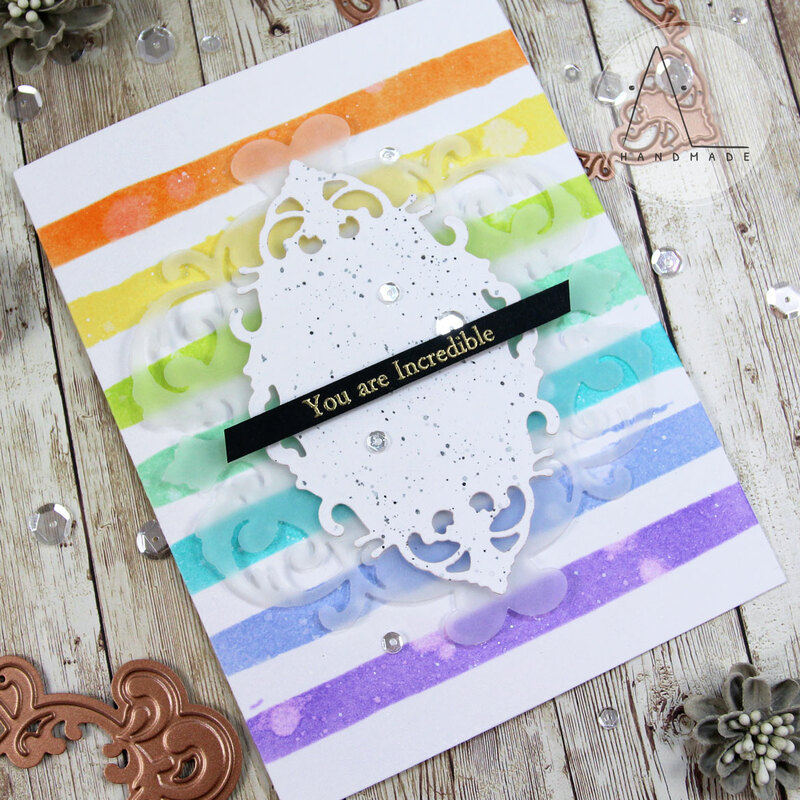 Next, I created a colorful background where to place my die cuts. 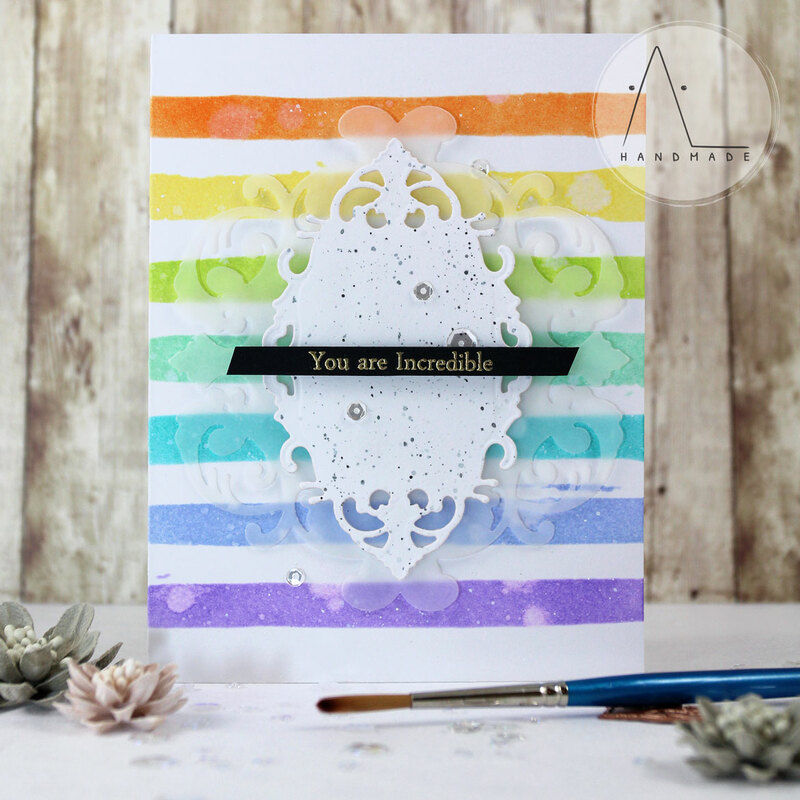 I ink blended my card base using several Distress Inks over the Watercolor Stripes Stencil by Altenew and flicked some water on it for a water droplets effect. I mounted the two frames on my rainbow card base using foam tape to add dimension. I heat embossed the sentiment in gold on a strip of black cardstock and mounted it in the middle of my card. The sentiment is from the Persian Motifs set by Altenew. Finally, I added a bunch of sparkling clear sequins here and there as embellishment. Thank you so much for joining me today! Hope you enjoy this project.